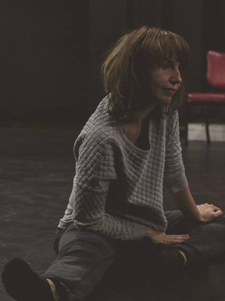 Patricia Wood is a performer and choreographer. She has worked with dance companies and independent artists performing in Australia, Asia and Europe. These include Les Commandos Percu (Fr), Stan’s Café (UK), Tasdance, and with Mette Edvardsen, Ros Crisp, Clare Dyson, Natalie Cursio, Dean Walsh, Jo Pollitt and Paea Leach. Patricia has received support from the Australia Council for the Arts, Ausdance, Critical Path and Frontyard. In 2014, Patricia worked for Ausdance NSW and Sydney Dance Company to produce the large-scale community event, Big Dance. This year Patricia completed a Masters in Research (Dance) at Macquarie University and became a Teaching Artist with Sydney Dance Company. To register your interest please complete the expression of interest form by midnight, Monday 16 April. More information on The Choreographic Lab Program.